Enjoy this rich, creamy shake with a delicious blend of pumpkin and cinnamon flavours that’s sure to add some spice to your fall. 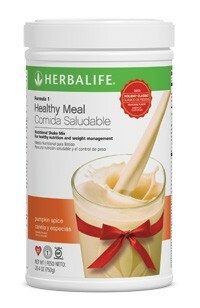 Keep your weight-management goals on track with this tasty seasonal treat while supplies last! 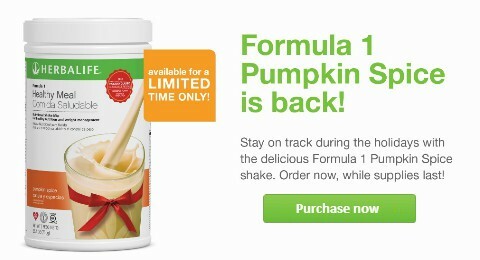 This year there's one more reason to celebrate the holiday season: the Formula 1 Pumpkin Spice shake is back...but only for a limited time! 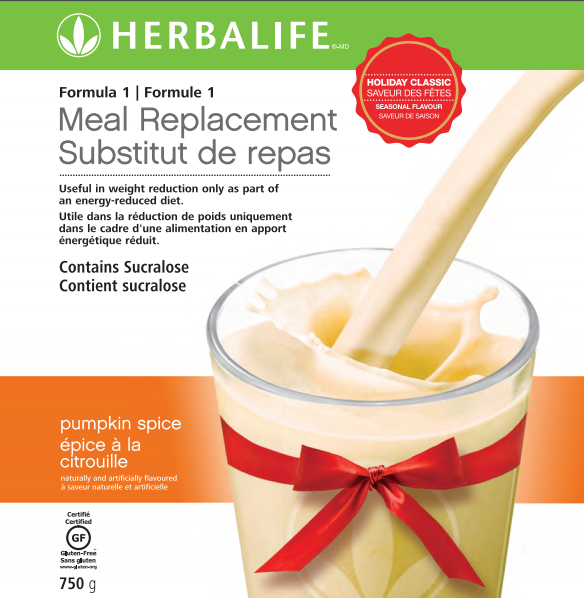 This delicious seasonal flavor has the same healthy ingredients as our other popular Formula 1 shakes, plus a luscious pumpkin taste with a distinctively delicate hint of cinnamon. Order now, while supplies last! Formula 1 shakes include soy protein, fiber and essential nutrients that can help support metabolism, cellular growth repair and production. Blend or stir 25g (2 heaping tablespoons) of Formula 1 with 8 fl. oz. of nonfat milk or soy milk.